Ann Sather’s is a Swedish Restaurant that can be found on the street the Belmont train stops at. This is another brunch restaurant. The walls are covered in paintings and words. When I went it after the new year the restaurant was filled with holiday decorations of green wreaths and pinecones. At first glance the restaurant looks small with limited seating but the restaurant has more seating that cannot be seen from the first main room or entrance. 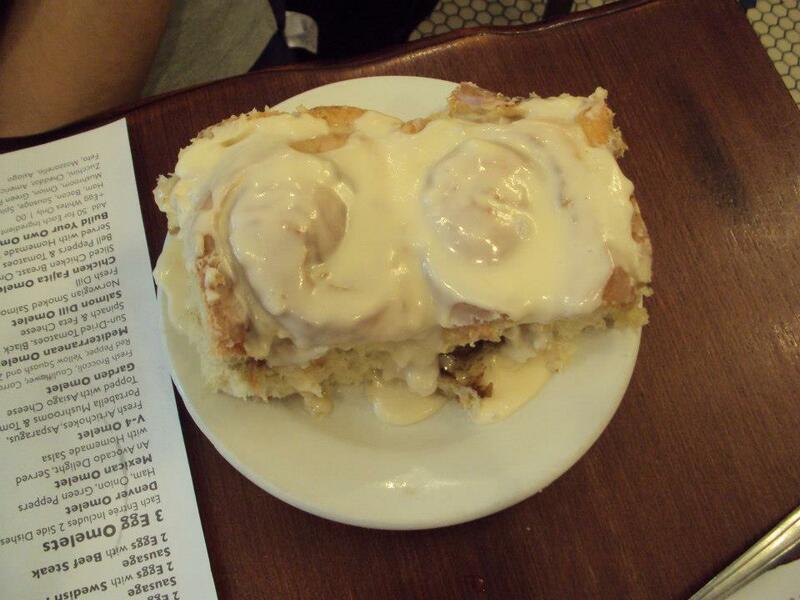 One of the specialties for the restaurant is their cinnamon rolls. It can be found on their left over take home bags and on their sign. Breakfast is served all day and almost any egg dish comes with an option of two sides. The cinnamon rolls are large and you get two as one side, enough to eat one for a full meal and take the other home, depending on how much you can eat. When I went I didn’t realize that the pancakes, waffles and more section of the menu did not include sides, but friends were happy to share. To try something new I ordered the Swedish Pancakes with Lingonberries and whipped cream. 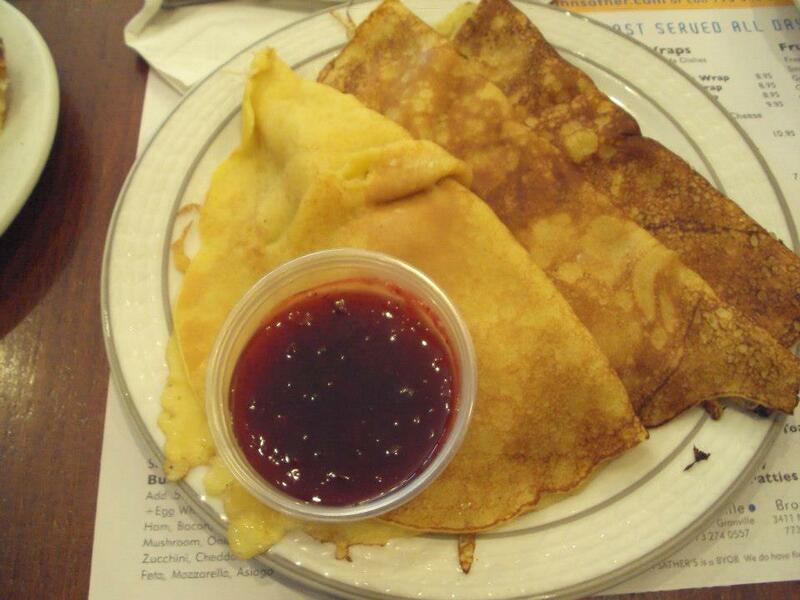 Swedish Pancakes are thin and a lot like crepes. I received three with my order. I received a bowl filled with whipped cream and a smaller container with the lingonberries that were slightly tart but mostly sweet. Some of which I took home to eat later. Those cinnamon rolls area huge and awesome! I wasn’t so impressed with the rest of the menu.